The Feast of Trumpets announces the coming Day of the Lord. Who will be able to stand? This is the fourth program of the series on the Hebrew feasts. It’s been a blessing to delve so deeply into the feast aspects of the ancient Hebrew sanctuary. In our last program we did some review of what we covered in Parts 1 and 2, and we analyzed in quite some detail the four spring feasts. I’ve posted on the City Bible Group blog some of the questions I get asked about the feasts. Please visit our website at https://citybiblegroup.com and you can submit your questions there. You can also send me your questions by email at info@citybiblegroup.com and I’ll respond on the blog. Today we’re going to continue our study of the Jewish religious calendar by considering the first of the three fall feasts: the Feast of Trumpets (Yom Teruah). Once again I was too optimistic, thinking that we’d be able to finish in one program all of the fall feasts. But because these three feasts have great prophetic significance, I wanted to take the time to really explore everything these feasts have to teach us. The fall feasts all take place in the last month of the religious calendar, the month of Tishrei. They didn’t commemorate any event in the history of Israel and only Sukkot has a relationship to the agricultural calendar. These three feasts are prophetic, and pointed forward to events that hadn’t yet been fulfilled. As of today, the first two have been fulfilled: the Feast of Trumpets and the Day of Atonement. There’s one feast that is yet to be fulfilled, and that’s the Feast of Tabernacles. The three fall feasts relate to the second coming of Jesus. All three of them take place in the last chamber, the Most Holy Place of the heavenly sanctuary. In Leviticus 23:23-25 we read: “And the Lord spake unto Moses, saying, Speak unto the children of Israel, saying, In the seventh month, in the first day of the month, shall ye have a sabbath, a memorial of blowing of trumpets, an holy convocation. Ye shall do no servile work therein: but ye shall offer an offering made by fire unto the Lord”. So the Feast of Trumpets is celebrated on the first day of the last month of the Jewish religious calendar, the month of Tishrei. It was meant to announce the next feast, the Day of Atonement, which would take place ten days later. 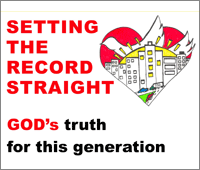 The Day of Atonement was the most solemn of all the feasts because it was a day of judgment. “Wash me thoroughly from mine iniquity, and cleanse me from my sin” (Psalm 51:2). “Purge me with hyssop, and I shall be clean: wash me, and I shall be whiter than snow” (Psalm 51:7). “Hide thy face from my sins, and blot out all mine iniquities. Create in me a clean heart, O God; and renew a right spirit within me” (Psalm 51:9-10). The right spirit was a repentant spirit which God’s people needed as they entered that solemn day of fasting and affliction and soul-searching. Yet as we look at God’s people in those four periods of history – the days of the prophet Isaiah, the days of Jesus, the 1800’s and the endtime – we don’t quite measure up to the godliness that the Lord requires of us. As we’ll see in a moment, throughout Bible history God’s people didn’t score that well on godliness except for the Church of Philadelphia, the Millerite movement. When we get to the last church, Laodicea, that’s us by the way, the prophet Joel is saying “Get it together because this is your very last chance”. To make your voice heard on high” (Isaiah 58:1-4). Basically the Lord is saying that the children of Israel had a form of godliness, but lacked the power thereof (2 Timothy 3:5). It was a purely exterior godliness. They fasted to impress God so that He would answer their prayers. Yet they did evil on their day of fasting by being unkind and exacting, by exploiting their workers, and by seeking strife with one another. And like a spring of water, whose waters do not fail” (Isaiah 58:6-11). The Lord is saying to Israel, stop doing wickedness when you fast. Free the oppressed, be generous to the poor, stop pointing the finger at others, and then your righteousness will shine forth and the glory of the Lord – meaning God’s character – will be your reward. You’ll have a true godliness and God’s spirit – the springs of water – will always be with you. Jeremiah 17:3 tells us that the Lord Himself is the fountain of living waters, as Jesus said that He was when He met the Samaritan woman at the well in John 4:10. The mouth of the Lord has spoken” (Isaiah 58:12-14). Notice the promise that the Lord made to them if they kept the Sabbath: He would feed them with the heritage of Jacob their father. And what was the heritage of Jacob? It’s alluded to in many verses not only in the Old Testament but also in the New: Jeremiah 49:2, Acts 7:5, Romans 4:13: and Hebrews 11:9. The inheritance of Jacob was the Promised Land of course, the land of promise, geographical Canaan but more importantly spiritual Canaan, which is heaven. So “the voice like a trumpet” in verse 1 of Isaiah 58 is to call the children of Israel to true godliness and to keep the Sabbath holy. The final verses in Isaiah 58 are prophetic: the repairers of the breach at the end of time will be the 144 000 who will vindicate God’s character by having true godliness and total obedience to His law, all Ten Commandments. They will be sealed with the seal of God, which is the Sabbath, and will have power to overcome the beast and refuse his evil mark. We spent a lot of time laying the foundation as we considered Isaiah 58, so we’re going to move more quickly now as we talk about God’s people in the days of Jesus. Listen to how Jesus confirms what God spoke through the prophet Isaiah: “He answered and said to them, “Well did Isaiah prophesy of you hypocrites, as it is written: ‘This people honors Me with their lips, But their heart is far from Me” (Mark 7:6). Throughout His ministry on earth one of the bones of contention between Jesus and the religious leaders was the Sabbath. They had added all kinds of man-made traditions and requirements to the Sabbath observance that were not required by God. Jesus made it a point to do good on the Sabbath. Many if not most of His miracles were performed on the Sabbath. He wanted to show them the true nature of that day: a day to be spent in communion with God and loving and serving others. They tell others to do, but they don’t. They put heavy burdens on the people, but they don’t lift a finger. They do their works to be seen by men and to receive the praise of men. They love to be seen in the marketplace and to be called ‘Rabbi’. They devour widows’ houses and make pretentious long prayers. They’re blind guides that lead others to perdition. They pay tithes but don’t love their neighbors. They’re focused on exterior washing but their inside is unclean. They appear righteous on the outside but inside are full of hypocrisy and lawlessness. Most importantly, they kill the prophets and persecute the righteous. “O Jerusalem, Jerusalem, the one who kills the prophets and stones those who are sent to her! How often I wanted to gather your children together, as a hen gathers her chicks under her wings, but you were not willing! See! Your house is left to you desolate; for I say to you, you shall see Me no more till you say, ‘Blessed is He who comes in the name of the Lord!’” (Matthew 23:27-29). In the very next chapter Matthew 24, Jesus predicts the destruction of Jerusalem and the temple because of their unbelief and the stoniness of their hearts. Now we move forward in time to the prophetic fulfillment of the Feast of Trumpets. It’s a great story! Again, I highly recommend that you watch the film “Tell the World” about this period of church history. It’s a very inspiring movie. 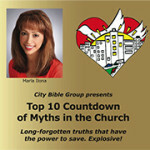 You’ll find a link to it on our blog at citybiblegroup.com. The Millerite movement was in fact a loud trumpet announcing the real Day of Atonement – not the Hebrew ceremonial Day of Atonement that was a type and shadow, but the real Day of Atonement in heaven that the Jewish feast pointed to. In the 1830’s an American farmer by the name of William Miller came to the conclusion that the second coming of Jesus was imminent. What led him to that conclusion was the study of the 2300-day prophecy in Daniel 8:14: “For two thousand three hundred days, then shall the sanctuary be cleansed”. William Miller believed that the prophecy referred to the second coming because he interpreted “the sanctuary” to mean the earth. The biblical evidence was solid that something would happen around the 1840’s. After correcting some timing miscalculations the Millerites (those who worked with William Miller to spread the good news of Jesus’ return) landed on the date of 1844, but they thought that Jesus would come in the spring. Throughout this process the movement was gaining more followers across countries and across Christian denominations as the date approached. When Jesus didn’t come in the spring, they didn’t get discouraged. They recalculated, and realized that in ancient Israel the cleansing of the sanctuary actually happened in the fall, on the Day of Atonement. So they prophesied again and announced that Jesus would return on October 22, 1844, which was the Day of Atonement of the year 1844. A true revival had been sparked by these predictions. Multitudes of God’s people gathered under tents to hear the good news and to study the scriptures, sometimes all night. Like Jesus’ apostles, the Millerites sold everything they had and donated the funds to the proclamation of the second coming of Jesus. True godliness and brotherly love prevailed. This phase of church history corresponds to the Church of Philadelphia in the Book of Revelation. We’ll come back to this shortly. Across America and Europe thousands of lovers of Jesus waited for Jesus to come. They waited all day and all night. Nothing happened. Jesus didn’t come. Their hopes were dashed. They sobbed and wept like little children, they were so bitterly disappointed. This big fiasco came to be called “The Great Disappointment”. (In Spanish it’s called “El Gran Chasco” which is kind of cute). The scoffers and unbelievers were numerous. Not only did the Millerites have to deal with their own pain and sorrow that Jesus didn’t come to get them, but even worse they had to deal with the scathing ridicule of the unbelieving. It was a very great trial for God’s people, but those who really loved Jesus went back to their Bibles. This is a huge lesson for us. They searched the scriptures, sometimes all night, to understand where they went wrong. God is faithful! His Spirit leads into all truth. So the Lord revealed to them their error. Indeed they had finally gotten the date right, but misinterpreted the event that would take place on that date. What we just read is the description of the beginning of the judgment. The Father, the Ancient of Days, was seated in the heavenly courtroom. Angels were worshipping Him. The court was seated and the books were opened. What books? The books that contain the record of all of our words and deeds. Which shall not be destroyed” (Daniel 7:13-14). So on October 22, 1844 Jesus didn’t come to earth. Instead He went to join the Father in the courtroom, which is the Most Holy Place of the heavenly sanctuary. The Father was in heaven, not on earth. Jesus was given the kingdom, meaning the subjects of His kingdom, God’s people. Judgment was committed to Him, and on that day Jesus started performing the work of final judgment on God’s people. Why on God’s people? Because “judgment begins in the house of God” (1 Peter 4:17). Let’s pick up again on the church of Philadelphia in Revelation 3: “And to the angel of the church in Philadelphia write, ‘These things says He who is holy, He who is true, “He who has the key of David, He who opens and no one shuts, and shuts and no one opens”: “I know your works. See, I have set before you an open door, and no one can shut it; for you have a little strength, have kept My word, and have not denied My name. Indeed I will make those of the synagogue of Satan, who say they are Jews and are not, but lie—indeed I will make them come and worship before your feet, and to know that I have loved you. Because you have kept My command to persevere, I also will keep you from the hour of trial which shall come upon the whole world, to test those who dwell on the earth” (Revelation 3:7-10). First, He opens a door before them. What door? The door to the Most Holy Place of the heavenly sanctuary. That door was opened on the Day of Atonement of the year 1844 and no man can shut it. But when Jesus shuts that door at the end of the judgment of God’s people, no man can open it. Secondly, Jesus acknowledges the scoffers which He calls the synagogue of Satan. He assures His faithful people that they’ll be avenged of the unbelievers. Thirdly, Jesus tells the Millerites that they won’t have to go through the great tribulation at the end of time. They wouldn’t be the last generation who would have to endure the terrible persecution that is prophesied to come upon us. Jesus would put them to sleep before all that took place. Let’s go to Revelation one last time to fully understand why God allowed this Great Disappointment to take place. In Revelation chapter 10 John is shown a vision of a mighty angel coming down from heaven, clothed with a cloud. John writes: “And a rainbow was on his head, his face was like the sun, and his feet like pillars of fire. He had a little book open in his hand. And he set his right foot on the sea and his left foot on the land, and cried with a loud voice, as when a lion roars. When he cried out, seven thunders uttered their voices. Now when the seven thunders uttered their voices, I was about to write; but I heard a voice from heaven saying to me, “Seal up the things which the seven thunders uttered, and do not write them” (Revelation 10:1-4). The mighty angel is in fact Jesus Himself. The little book in His hand contained the prophecies in the latter chapters of the Book of Daniel, having to do with the sanctuary and the 2300-day prophecy. He had a foot on the sea and a foot on the land, meaning that whatever this conversation was about and the contents of the book had global implications and affected all mankind. Jesus’ voice thundered, and that which He said John the Revelator was about to write down, but the voice from heaven said to him: seal up these things and don’t write them. The first thing to consider is that it’s Jesus Himself, and not just any angel, who had the book in His hand and thundered the message in His own voice. If Jesus spoke these things Himself it means they were incredibly important, so important that He wanted to deliver the message Himself and not commit them to an angel. If you recall in Daniel 8 when the 2300-day prophecy is first given to Daniel, Daniel overheard Jesus and an angel discussing it, but then Jesus asks the Archangel Gabriel to give Daniel the interpretation of the prophecy. Then I took the little book out of the angel’s hand and ate it, and it was as sweet as honey in my mouth. But when I had eaten it, my stomach became bitter. And he said to me, “You must prophesy again to many peoples, nations, tongues, and kings” (Revelation 10:8-11). The little book contained the 2300-day prophecy in Daniel 8:14. That little book would be sweet in the mouth of those who ate it, meaning of those who studied and received this message. But it would turn bitter in their stomachs once they digested the great disappointment. In other words, Jesus knew and communicated to John that they would misinterpret the event that was prophesied in the 2300-day prophecy. This is what the seven thunders uttered. But Jesus didn’t want John to record that. Why? Because it needed to happen. There had to be the blowing of a trumpet to announce the start of the judgment in heaven. Jesus will give them, the church of Philadelphia, their just reward for their faithfulness and will avenge them of the scoffers. But it was important that the truth be made known, and that people understand the real nature of the event that took place in 1844. This is why Jesus said: “You must prophesy again to many peoples, nations, tongues, and kings”. Out of the Millerite movement, which was multi-denomination, was born the Seventh-day Adventist Church. The Seventh-day Adventist Church is a prophetic movement to whom God entrusted critical endtime prophecies and the understanding of the Sabbath as the final test for the endtime generation. The final period in church history is the church of Laodicea. Now don’t get confused with the churches described in Revelation chapters 1 through 3. These were actual churches in the early days of the Christian Church, but today they have symbolic value and represent the different phases of church history. Laodicea is the lukewarm church of Revelation 3. We are that church, the last church. The Lord says that He vomits us out of His mouth because we’re so lukewarm. Jesus says that we don’t know that we’re wretched, miserable, poor, blind and naked. That’s the true spiritual condition of the endtime Christian church. We think we’re rich and have need of nothing. Jesus counsels us to buy gold refined in the fire to purify our character, white robes of righteousness to clothe our nakedness, and eye salve to heal our spiritual blindness. And yet this wretched, miserable church that we are still needs to blow the trumpet to announce the soon close of probation, the shutting of the door of the Most Holy Place to intercession for humans (Revelation 15). This is the end of the judgment of God’s people, after which no intercession for forgiveness of sin and salvation will take place. The seven angels that bear the seven plagues of the wrath of God will come out of the temple (meaning the Most Holy Place) and the glory of the Lord will fill the temple. At that point, whoever was saved stays saved, whoever was lost stays lost. A day of clouds and thick darkness” (Joel 2:1-2). Then the prophet proceeds to describe how the armies from heaven will come in glory to war against the wicked on the Day of the Lord. The wicked are running to and fro in complete panic. This is the last day, when Jesus returns to the earth to destroy the wicked and take His people home. And the stars diminish their brightness. For strong is the One who executes His word. Therefore the prophet Joel makes a call to repentance so that we may be able to endure it, that we may be counted among the righteous and not among the wicked. There will only be two groups at the end of time: the righteous and the wicked. There are no gray areas, there’s no neutrality. You’re either on Jesus’ side or against Him. ‘Where is their God?’” (Joel 2:12-17). I believe that the Day of the Lord is very near. Yes, there are still a few prophesied events that need to be fulfilled. But the final movements will be rapid ones. Things have accelerated tremendously over the past few years. I do believe that the name of US President Donald Trump is no accident, but a harbinger of things about to unfold. The judgment of God’s people started 173 years ago. How long does it take to judge all righteous people from Adam and Abel down to the last generation? No one knows of course. But our names might be called in heaven at any time. And we only get one chance to appear before the judge of all mankind. We have to be sure that we’re in right standing before God. The trumpet was already blown in 1844. How much longer are you going to wait before you set your house in order? “And the angel which I saw stand upon the sea and upon the earth lifted up his hand to heaven, and sware by him that liveth for ever and ever, who created heaven, and the things that therein are, and the earth, and the things that therein are, and the sea, and the things which are therein, that there should be time no longer: But in the days of the voice of the seventh angel, when he shall begin to sound (Note: when he is about to sound, poised to sound), the mystery of God should be finished, as he hath declared to his servants the prophets” (Revelation 10:5-7 KJV). The mystery of God is the gospel of salvation. Right before the angel bearing the seventh trumpet sounds the trumpet will be the close of grace, what we call the close of probation. No one but the Father knows the day and the hour. The door of salvation will close before Jesus comes. 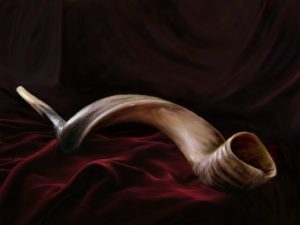 When the seventh trumpet sounds, Jesus returns with the reward for both righteous and wicked: “He that is unjust, let him be unjust still: and he which is filthy, let him be filthy still: and he that is righteous, let him be righteous still: and he that is holy, let him be holy still. And, behold, I come quickly; and my reward is with me, to give every man according as his work shall be” (Revelation 22:11-12). Before we close our study today, I want to invite you, if you haven’t yet fully surrendered to the Lord Jesus, if you haven’t accepted Him as Savior and Master, to do that now. Don’t wait any longer. We’re running out of time. I’ll pray with you that God’s Holy Spirit give you the desire and the courage to take that step of baptism. Maybe you’re lukewarm, listening to messages about Christ and endtime prophecy but not fully committed to His service. Maybe you’re not going to church regularly or not witnessing to others. Let’s pray together right now that the Holy Spirit would rekindle the fire in your heart and call you into a tighter walk with Jesus. Tagged 1844, 2300-day prophecy, adventist, atonement, Bible, Book of Daniel, book of joel, book of revelation, calendar, church, coming, Daniel, day, fasting, feast, feasts, God, godliness, Hebrew, hypocrisy, Isaiah, Israel, jerusalem, Jesus, john, Judgment, Laodicea, leaders, little, miller, millerite, of, pharisees, philadelphia, prophecy, religious, Revelation, revelator, revival, Sabbath, sanctuary, scribes, temple, trumpets, william miller.